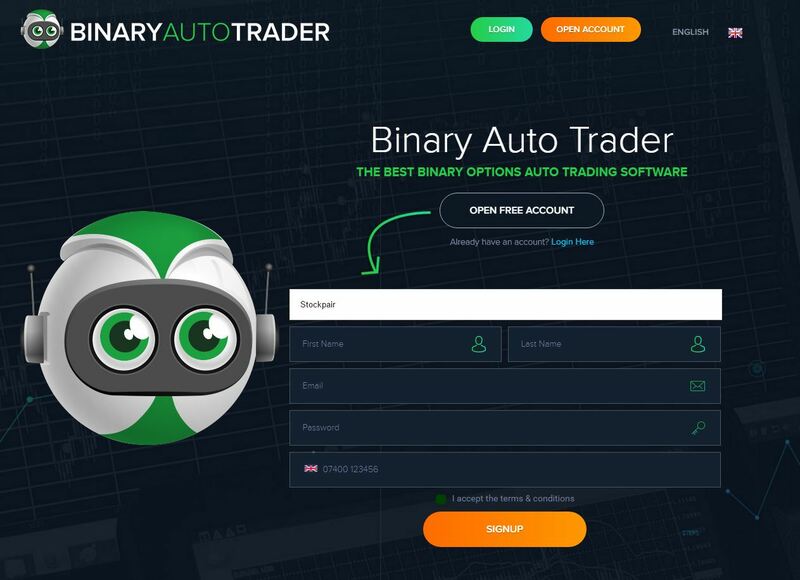 Binary Auto Trader is one of the many robots that can trade binary options on your behalf. It will generate signals and execute trades automatically on your trading account. The key is of course the winning rate and Binary Auto Trader promises a 92.35 % win rate, which is huge. It would mean big profits. And of course money is free, so Binary AutoTrader is free too. Everything you can read on the Binary Auto Trader website is of course lies. This robot will certainly not give you a 92.35 % win rate. How can we be so sure? 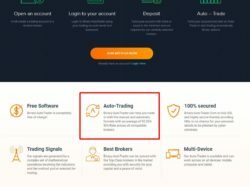 It is very simple, Binary Auto Trader is not a unique software, it is just one of many scam robots that are based on the White Label Robot software. 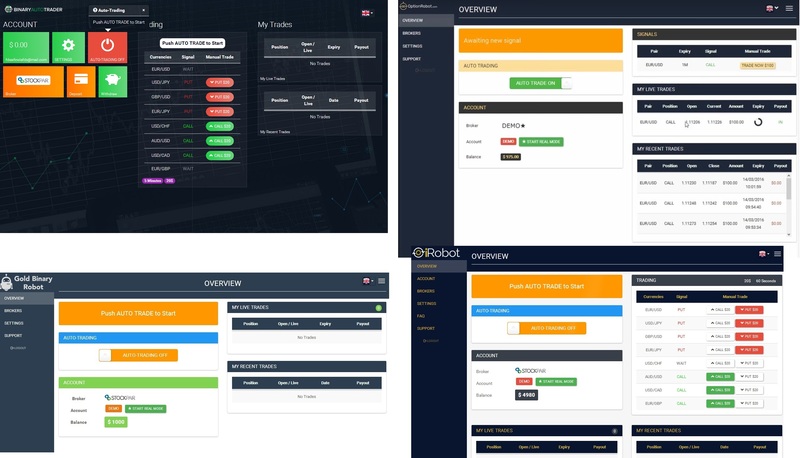 Take a look at the picture on the right, you’ll see a few examples of other robots, like Option Robot or iRobot, that are based on the same software that has lost a lot of money to a lot of people. Why do people fall for this scam? Because the robot offers a free demo that fakes results. 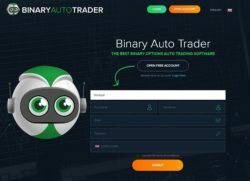 So people who have no experience with trading will think that Binary Auto Trader really works, because on the demo they will have great results. So then they will go and open a real account and deposit their own money. But as real results cannot be faked, the robot will lose their deposit. This is how this story ends. So why bothering with putting up a free robot that loses money? Because people who are behind Binary Auto Trader are affiliated with some brokers that will pay them for referring new depositors. All they need you to do in order to earn their affiliate commission is to open an account through their software, deposit money and start to trade. So they don’t care that their software is losing money, it does not matter to them. 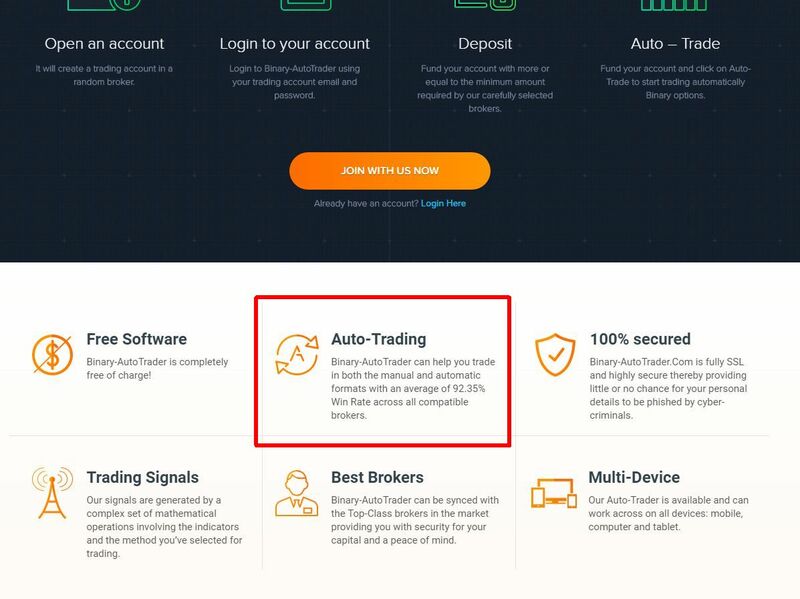 Binary Auto Trader is a scam with a demo that fakes results to make you believe that the software is profitable, but it isn’t. In real trading it loses money. To learn how to make money with binary options you need to start on a genuine free demo with a regulated broker. This is how real trading works, there is no free profitable robot, there is no free money. It is true absolutely true because i am the victim, lost all my money.